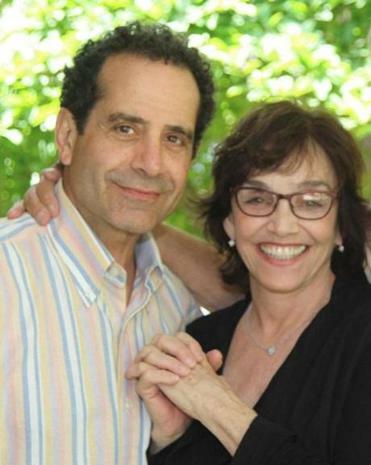 Commonwealth Shakespeare Company will put on a staged reading of Bertolt Brecht’s “Fear and Misery in the Third Reich” featuring husband and wife Tony Shalhoub and Brooke Adams (pictured) on Nov. 13. Written by Brecht while he was in exile, the series of 18 interconnected playlets describe life in German households, particularly the suspicion and anxiety felt by Jews, as the Nazis were coming to power in the 1930s. director of Commonwealth Shakespeare Company, will direct the reading at Carling Sorenson Theater at Babson College. During the summer, the couple live on Martha’s Vineyard, where they hosted a party celebrating the Boston-based Union of Minority Neighborhoods. Guests included UMN founder Horace Small, poet Rose Styron, singer Kate Taylor, and husband-and-wife Pulitzer Prize winners Tony Horowitz and Geraldine Brooks.